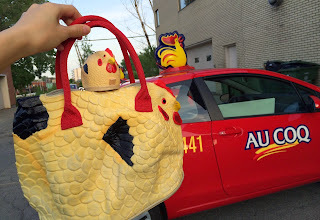 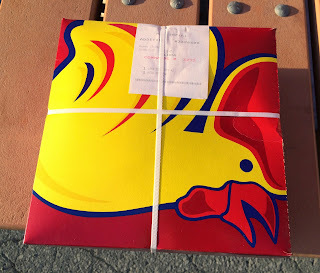 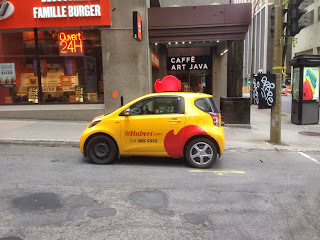 My husband found a "reversed St-Hubert car" the other day, which was read car with a rooster on the roof while St-Hubert car is yellow with a red comb/crown on the roof. 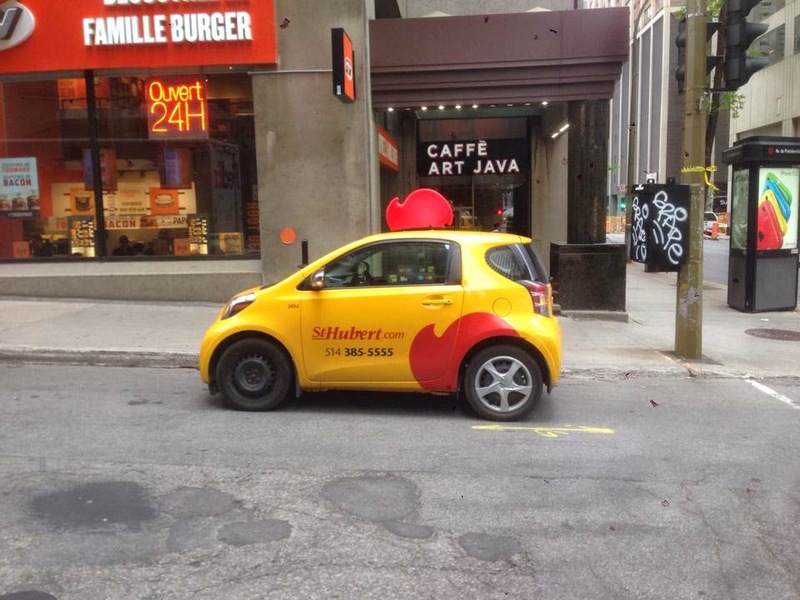 This is St-Hubert car. 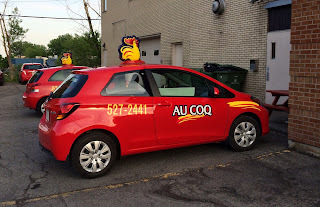 --- When I first found this car driving, my husband didn't believe me but he finally saw this car and took this photo. 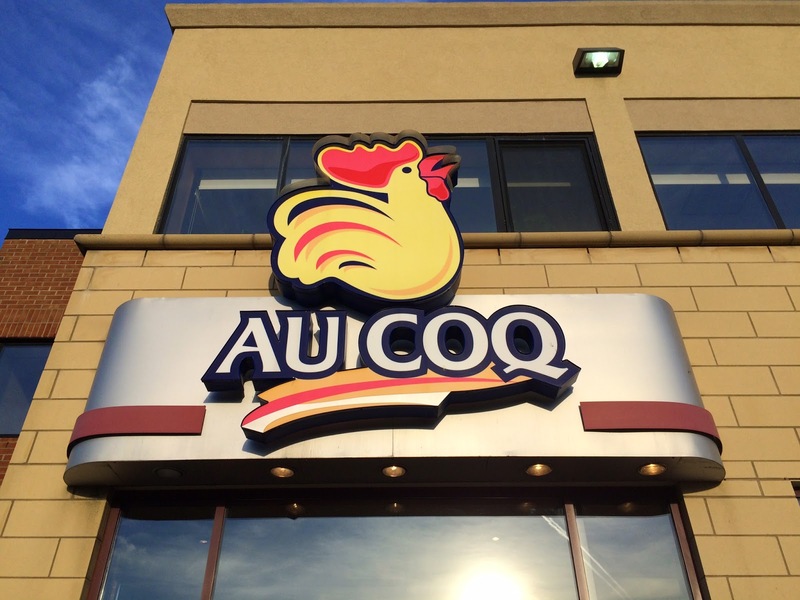 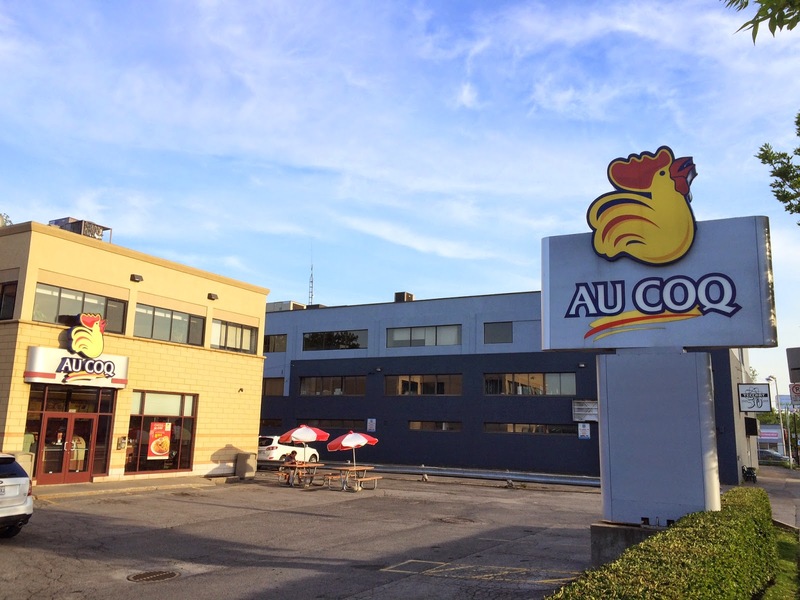 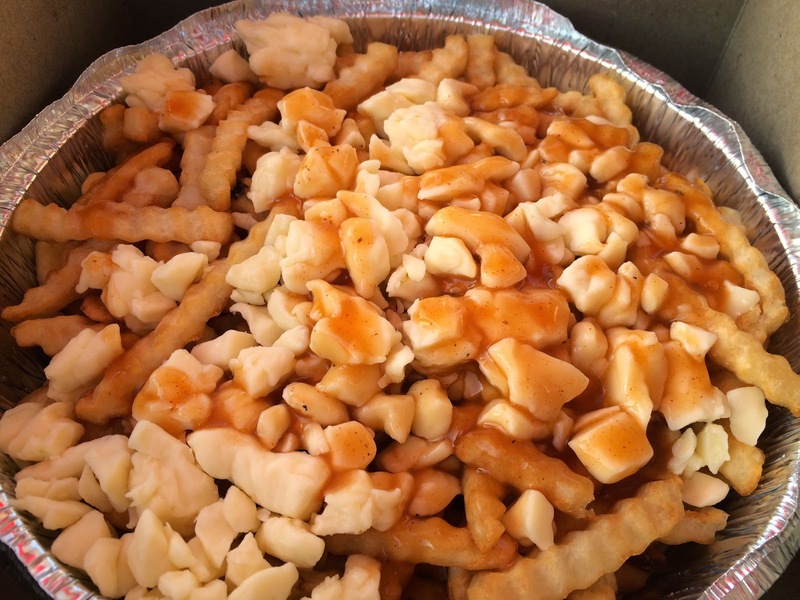 When he researched Au Coq which was written on the car, he found that the restaurant has a mega poutine on the menu. 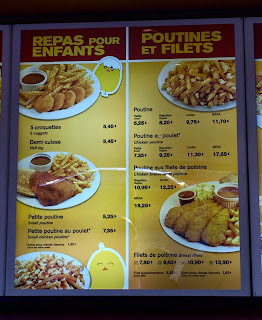 He kept saying "mega poutine" so many times, and last night, we went to one of the closet branch with his staffs. 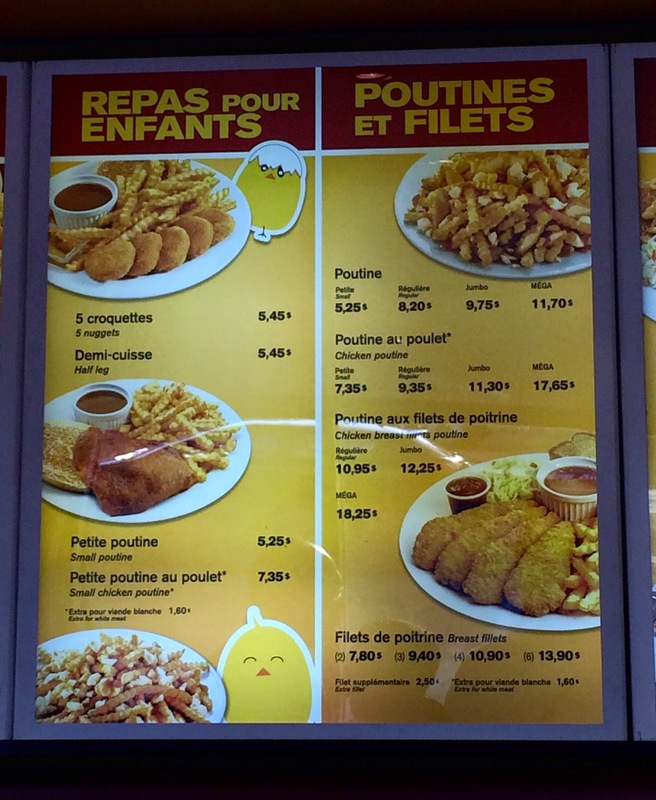 A part of the menu, and they sure had mega poutines. 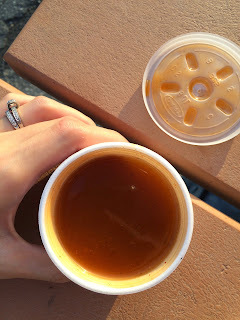 It's a to-go only branch and we sat at a table and bench set at the parking lot. The employees here were reluctant and had "I don't give sh*t" attitude, FYI. 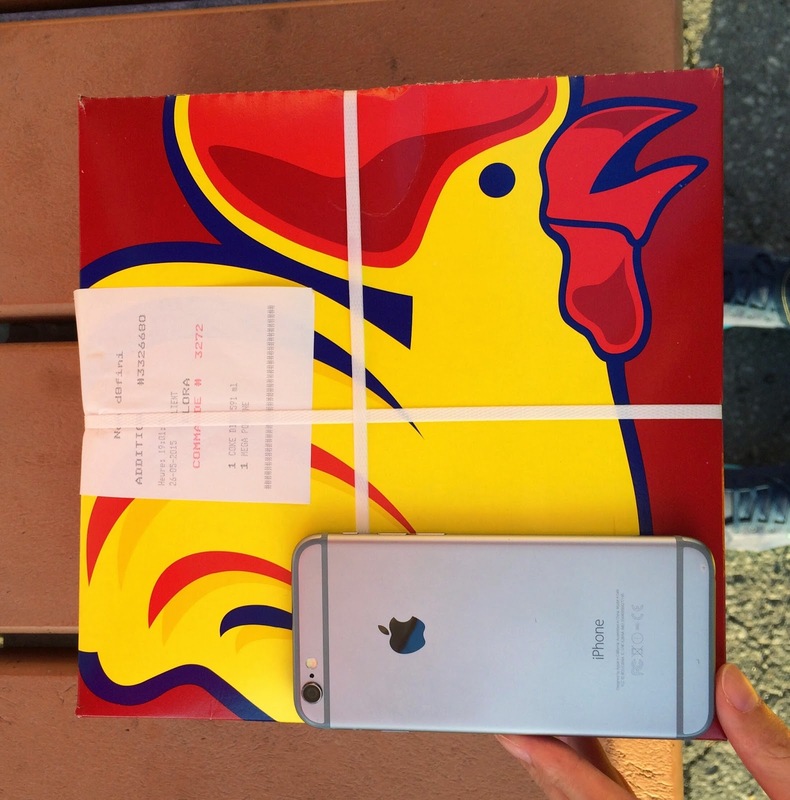 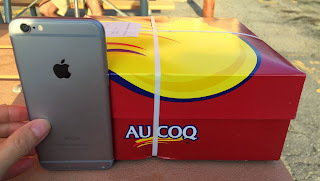 I put iPhone 6 to show hot large the box was. 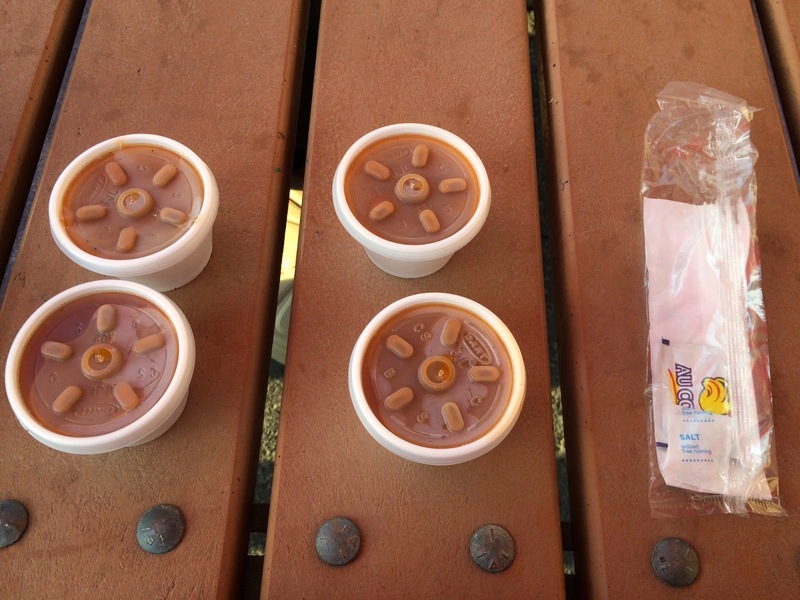 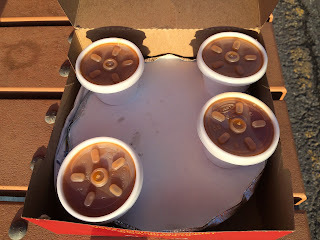 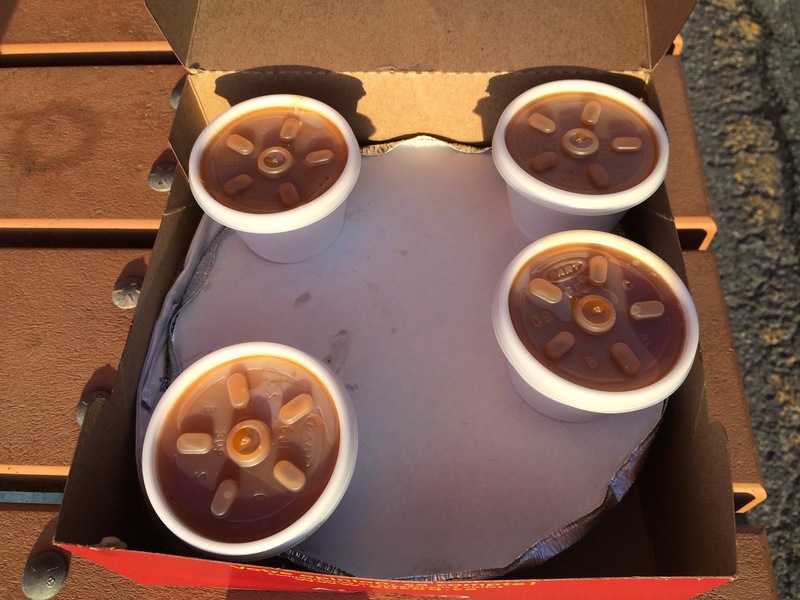 The box was very heavy and there're 4 cups of gravy sauce. 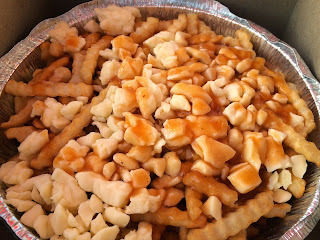 Though 4 of us entered the shop and ordered a mega poutine, they only gave us one fork and my husband went back in to get 3 extra forks. The cheese curds were still cold. 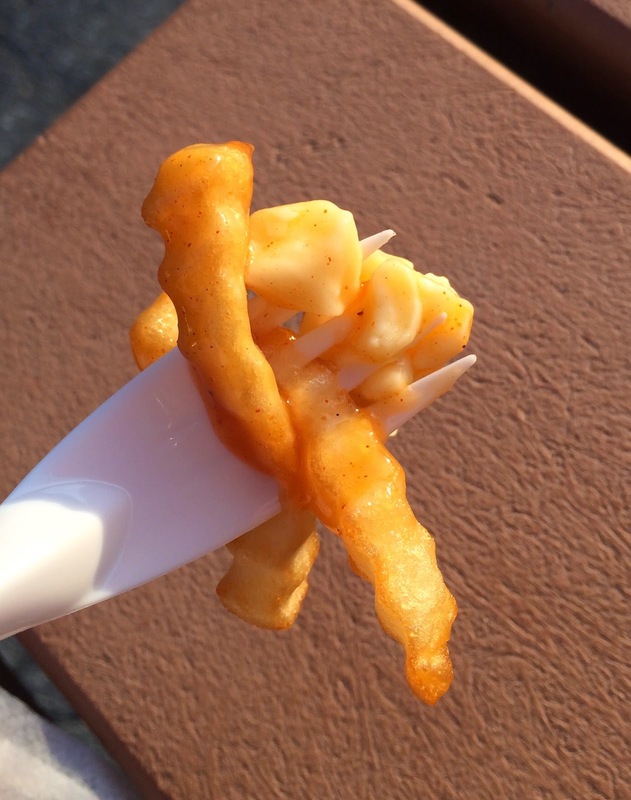 The fries were crinkle cut and wavy. 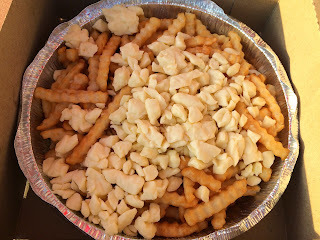 They're hot and crispy, and cheese curds were squeaky, however, the gravy sauce was mediocre. 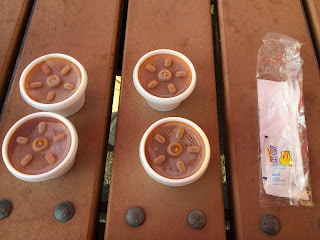 It's like minestrone with strong tomato flavor with consomme, and it's watery and reddish liquid without any starchiness.